I had a bit of a hard time lately (you can read some of the unforgettable moments of motherhood and why I need a sombrero here). Since then I looked a bit like a zombie and pretty much functioned as one, so I decided that something needs to be done. I always found it hard to relax. If I had a free minute, when I could do something meaningless yet enjoyable, I always worried that I forgot something or was missing something and that would catch up with me at a later time. Seriously, no letting go for me. When kids were asleep, I would find a thousand and one things to do, this blog being one of them and sleep – somewhere on the 1001th place. Then, last week, at a particularly low point of feeling beyond tired I made a wonderful decision that changed quite a lot in my life – I decided that I needed a new facial mask. Yes, just like that an invention of a modern cosmetic industry saved this mother’s sanity and started a chain of events, which is still unraveling into something amazing! Is it just me or do we put ourselves way down on the list of importance, when we become mothers? Don’t get me wrong, my kids are still the most precious things for me, but I also want to feel like a woman and not just a mother! I want to feel beautiful, desirable, careless (at least on the outside) and happy! Lack of sleep, pampering and free time just kills that lovely lady inside of me! So here it goes, I bought a great facial mask and as I washed it off I saw a radiant face I haven’t seen in ages – and haven’t even realised how much I missed it! Next day I went and bought a couple of creams from the same range for my face. And my hands. And my feet. Yes, I went a bit wild. I always took care of my skin when I was 20-something, forgetting about it as I’m 30-something is just unforgivable! I also started to sleep, like really properly taking my time, any time I could. If kids went to bed at 9, I would go straight after them, without cleaning, cooking or writing on this blog either (hence, my Monday feature, Family Affair, about HK Disneyland and Macao coming out on Wednesday and Wednesday Writer’s Quote – on Thursday). Baby’s daily nap – I’m in! Even if I can’t fall asleep, I’ll just lay down, relax, maybe watch a silly movie – watching movies during daytime is something I haven’t done in gazillion years. Facebook, Instagram, Twitter – not so important after all, especially if you consider how much better you feel in the morning with that extra hour of sleep instead of an hour of pointless internet browsing. I went back to training twice a week, something I couldn’t do for almost a month and that always gives a boost of energy you really need, when you have two little kids going crazy at home. I started drinking more. Easy thing, but you always forget about it. I know, I do. When I’m stressed with kids, I’m usually going for a pastry instead of a glass of water or green tea. And it shows! In the end, after just a week, I’m smiling more, feeling better, more fun to be around (according to my husband) and even a couple of kilos lighter (according to the scales). Did you know that stress hormones actually make you store fat? Well, that might be the reason why I still couldn’t shift some of the baby weight. We all want to be perfect at what we do, we become great mothers, exceptional housekeepers, successful professionals, but very often, along the way, we forget about being just women. I know, the time goes, we all have more responsibilities, more experience, we cannot always be the same. I accept that I cannot be the same woman I was, when I was 20, but I refuse to forget about being a woman overall. 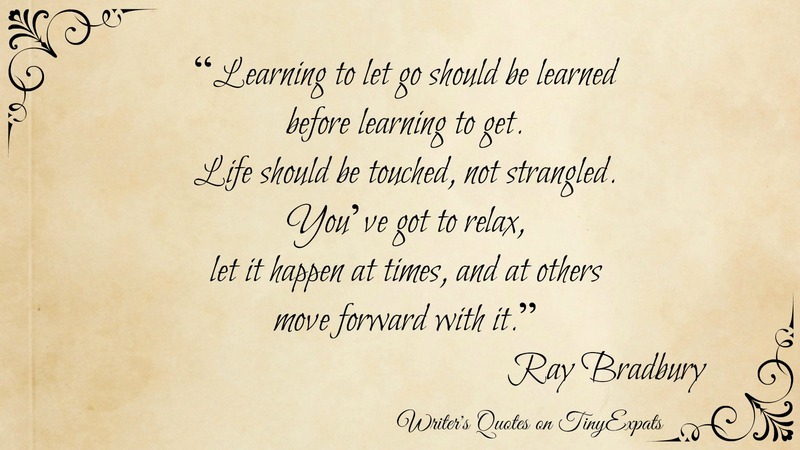 And so, I let go of some things, relax, take a deep breath and make a decision to enjoy life as a woman, which in its turn makes me a a better wife and mother. P.S. 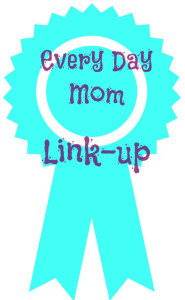 As this post turned out to be about mother’s issues as much as Ray Bradbury’s wonderful advise, I’m submitting this post to the Every Day Mom link up as well. P.P.S. 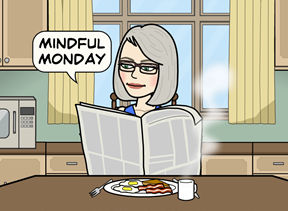 As Colleen suggested, I’m also linking this post up to her Mindful Monday. Previous Disneyland and Macao – all ages welcome! Next Don’t miss May highlights on Tiny Expats! 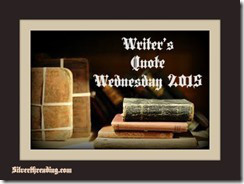 With this particular quote, it seems appropriate to be posting on Thursday, as opposed to Friday. Glad you found ways to destress. :)) I guess, it is :) Thank you!